Ten states and the District of Columbia have legalized the use of recreational marijuana. The Democratic governors of New York and New Jersey are trying their best to make it legal in their states as well. 1. What is a snake oil salesman? 2. What is the main idea of Gary Varvel’s cartoon? 3. Do you agree with the cartoonist’s assertion? Explain your answer. 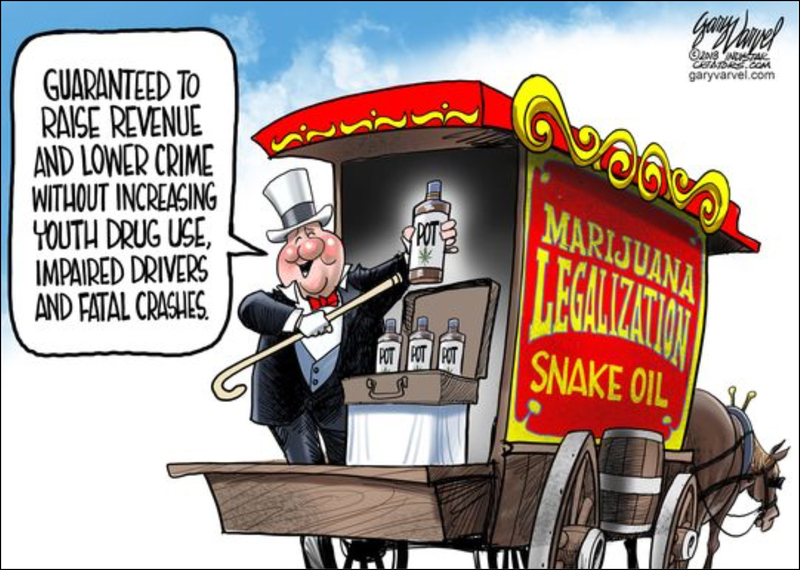 State governments are ignoring the harmful effects of legalizing recreational marijuana so that they can bring in a huge amount of money in the taxes they will impose on the drug.